One of the best charter bus providers in San Francisco. Our rates are comparitively cheap. Call us today to get the best rate for Deluxe Motor Coach, Mini Bus, School Bus, Party Bus, Limousines, Van and more... for any of your charter bus events. Prompt Charters is the leading charter bus and minibus rental provider in San Francisco area. As the largest charter bus rental company, we have the proven track record as the most reliable company with most name recognition. 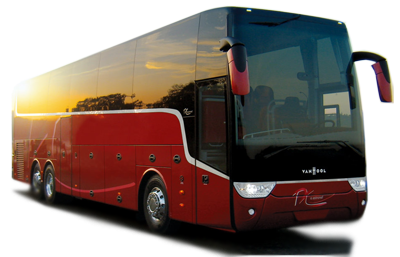 Our fleet includes most modern 56 seat coach buses, 25-32 seat minibusses that offer ultra luxury and comfort. 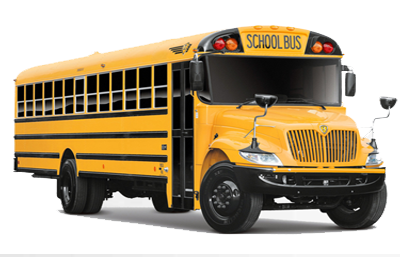 In addition to coach buses, we also provide school buses, motorcoaches, entertainment coaches, school buses, limo and van. Call us for your next event in town and we will manage it efficiently and economically. For corporate clients, we provide corporate sedans and sprinter vans. High-end features such as wifi and power outlets make your trio fulfilled and productive. Coach Buses are the best and cost-effective way to move a group of people in town. Whether you are with a corporation or for a private event, the traffic can be cumbersome in this busy city and people can be lost easily. We offer scheduled pick up and drop offs within the city. So let our expert chauffeurs take through the wonders of the city and you can sit back and relax and enjoy the elegance of San Francisco. Avoid the traffic congestion and the pain of traveling in multiple cars, let us take you through the heart of the bay area. San Francisco, one of the major cities in the West Coast offers plenty of attractions for the tourists. Even if your purpose of coming here is a corporate travel or Group Travel, Sightseeing Tour or Professional Sports, Religious Convention or Bachelor/better Party, Wedding or Convention and Trade Show, School Field Trip or Political Campaign and whatever it is San Francisco will provide with all you need. A walk along the Golden Gate Bridge will give you the opportunity to look out at the ocean and into the city scenery. At Alcatraz Island, you will find the Prison of the old times and the Fisherman’s Wharf. The beautiful Japanese Garden will offer you a scenic walk through its garden paths and the Golden Gate Park is something for everyone. Fisherman's Warf is a great tourist spot both during the day and at night. Cable cars are the great way to get a good view of the city and avoid driving around the crowded streets. Also, attractions like the beautiful Grace Cathedral and the Exploratorium- where kids and adults can have fans alike. Have an awesome ride through the world’s most twisted street-Lombard Street. California Palace of the Legion of Honor, Coit Tower, California Academy of Sciences, San Francisco Ghost Hunt Walking Tour, Mission Cliffs Rock Climbing Center, Asian Art Museum, AT&T Park - Home of the Giants- a great place for baseball, Mission Dolores church, San Francisco Museum of Modern Art (SFMOMA) and the Palace of Fine Arts are places that are sure enough to draw many visitors every year. Take your ride through the city in charter buses, sedans, limo, SUVs, vans, minibusses, motor coaches, limo buses and party buses. And make avail of the services of Airport Transportation and Emergency Evacuation. Coach Buses are available for corporate events and private events from Prompt Charters in San Francisco bay area. All coach buses are well maintained and are 2014 or newer. Equipped with lavatory, PA system, DVD and luggage compartment, each bus can hold 56 people. Driven by professionals, you will not be disappointed by pour impeccable service. As the world capital for technology, San Francisco hosts thousands of events each year. From Google to facebook all major tech companies are located in this city. Therefore there are hundreds of events every day. Students and visitors around the world visit these major corporations. We do charter bus tours to the headquarters of these corporations. In addition, there are many conventions and trade shows organized here. Most of the participants are transported in coach buses and minibusses. Prompt Charters has been a proud transportation partner for Google, Facebook, Apple, and Twitter for over the years. San Francisco is a great place to get married. Thousands of people from around the world come to this magnificent city to have a fulfilled matrimony. But planning transportation for the wedding party and out of town guests can be challenging. As far transportation is concerned, let Prompt Charters take care of your wedding transportation needs. We offer attractive and cost-effective transportation solutions for our wedding clients. From limos to vans, minibusses, and coaches, we can provide any vehicle you need.